Welcome to Oxford! Whether you’re a returning student or a brand-new fresher, you’re probably busy enjoying all the city has to offer. You may have also noticed lots of people sleeping on the streets. Sometimes it can feel overwhelming and hard to know what you can do to help. But every year passionate students volunteer and fundraise with us, making a real and lasting impact. There are loads of ways to get involved with our work. Here are some suggestions to get you started; there’s something for everyone, no matter how little time or cash you have. Together we can support people out of homelessness. 54% of UK bosses say they would be more likely to employ someone who had volunteered than someone who hadn’t. Set up a donation welfare point – we need welfare items all year round, so why not set up a collection point? Keep an eye on our Amazon Wish List to see what we need. 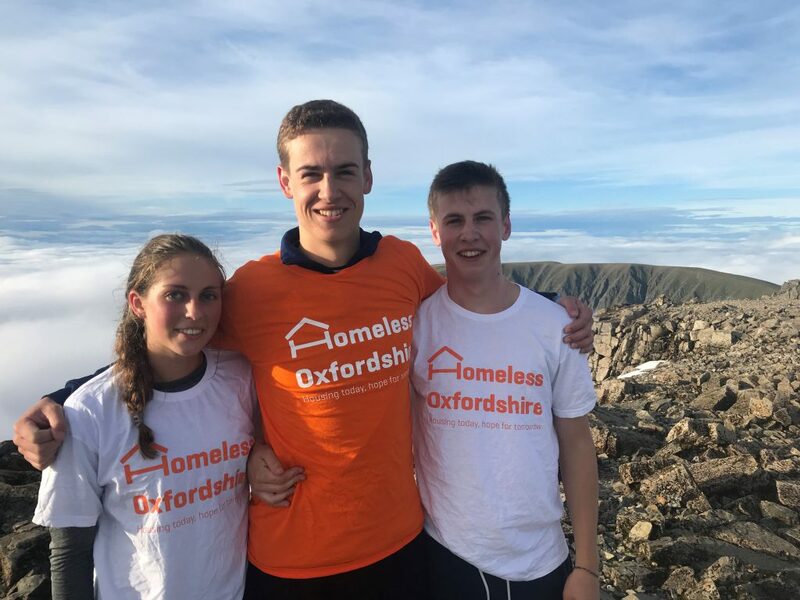 You could even become a student ambassador for Homeless Oxfordshire. Representing the charity, you will help to change student’s perceptions of homelessness and bust myths surrounding homelessness. 2. No time to volunteer? Spread the word! Even if you can’t find the time to volunteer, maybe your friends can? Help us spread the word about our work to other students. Follow us on social media; sharing our content on your own channels and/or posting to your university’s Facebook page is a great way to raise awareness of our services. Nominate us as your Charity of the Year; whether through the uni, college or Raising and Giving society, being Charity of the Year helps us to support more people off the streets. We can help you with the application. 3. No spare cash? Fundraise! Money raised by students helps us to be here for the people who need us most. It helps us to provide long-term support for individuals, from paying for nutritional meals to work-based skills courses to help someone back into employment. Or choose your own idea, no matter how big or small. We are the largest provider of temporary accommodation for homeless people in the county. But we are more than bricks and mortar. We deliver support services within our hostel and community properties, to help people tackle the root causes of their homelessness and move forward. Last year we supported 550 people on their journeys out of homelessness. We could not do it without you. So, what are you waiting for? Make a lasting impact while you study, get in touch with us; we’d love to hear your ideas! Email info@homelessoxfordshire.uk or call us on 01865 304 697 for more information about how you can help. Let’s work together to get people off the streets for good.